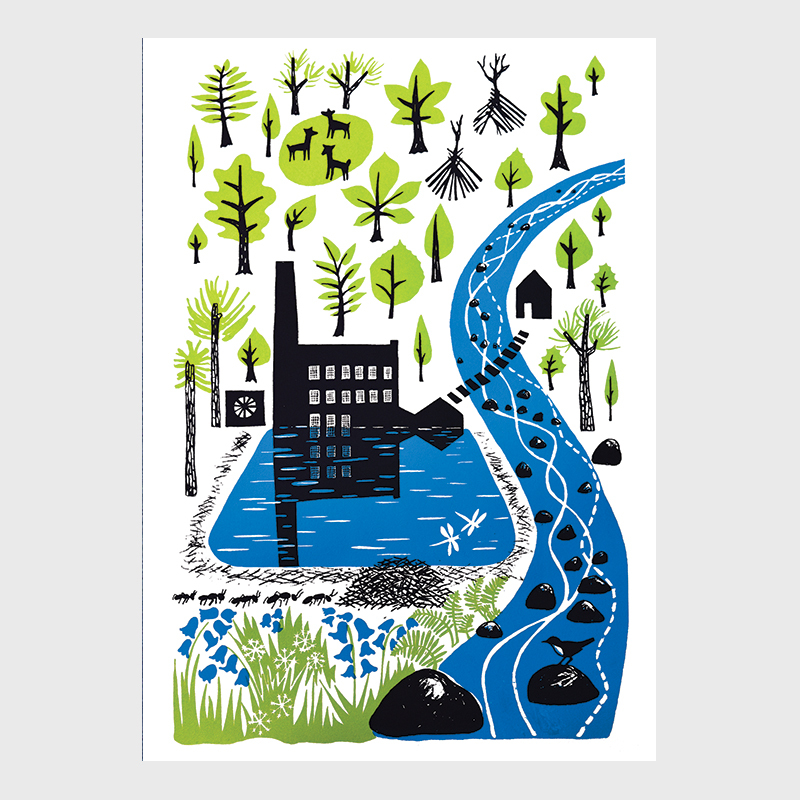 From an original screen print celebrating the beautiful valley of Hardcastle Crags with its mill, millpond, woodland and creatures. Printed on 300gsm 100% recycled board with eco toners. Comes with a white envelope and a protective cellophane sleeve.